"From the first day I met Braden I was blown away with his confidence and professionalism. He assured me that he could sell my home for top dollar in a timely fashion, and also find me a new home that would meet all my expectations and needs for years to come. With his dedication and proven sales system he was able to deliver on both promises. Thanks again Braden for all your help, I am looking forward to doing business with you and your fantastic team in the future." "I am so very happy and completely satisfied with the way in which the sale of my house was handled by the McLean Team. Braden was so approachable, honest and reliable that I had no qualms contacting him for any question or concern. Matt Wallace took excellent pictures which I feel did much to get people into the house! Tracie Geller is a very efficient and wonderfully pleasant person to deal with on the office side of things. I got very solid advice and my house sold in under three weeks! I have already recommended the McLean Team to colleagues and friends. I will continue to recommend these dynamic and hardworking people! If the name on your sign is McLean, you simply can't go wrong!" "For starters Braden is a say it as it is guy, I respect that about him. In this business you need someone to be clear and honest and Braden carries that trait. His team was helping and diligent at all times. There wasn't a time that I didn?t send an email or ask a question that wasn't answered right away. When a offer came in, and we wanted to counter, Braden went to bat and got us the price we wanted. His entire team was there to help during times of stress as well, which in our case was often do to the risk we took on the new house we wanted. We listed with Braden and within 8 days we were sold, I slept well that night! I wouldn't hesitate to recommend Braden to anyone looking to sell with a professional and not waste their time with cheap online websites. Thanks to you and your team Braden! "Braden Mclean was an amazing realtor to work with; he was patient and answered all of our questions and he listened to our wants and needs in regards to both buying and selling our homes. We are now going to be moving into a house that we love and feel will fit our family perfectly and we were able to get the money we wanted for our starter home. He was really great to work with and we would recommend him to anyone looking for a realtor. Thanks so much for everything Braden!" "I can't say enough good things about the help that Braden was able to give us in buying our new house and selling our current one. In this market things move really quickly and Braden showed both the knowledge and skills to get us the house we wanted. It was his advice that helped us to make the right offer at the right time - without him I don't know if we would have got the house. When it came time to sell our home he was there to help us get the house ready and got the listing up when we wanted, complete with beautiful photos. Buying and selling a home can be very stressful, but with Braden we knew we were in good hands. We were so impressed that we recommended him to our neighbours and he sold their house too! 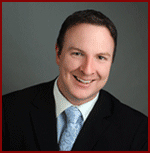 Braden is professional, reliable and client-service oriented - everything you want in a realtor." "We recently had Braden McLean sell our home in Greely. Jayne and I designed and built this home with our own hands, some 25 years ago . We raised our two daughters in this home and fulfilled our dreams. We truly wanted to see a young family move in, so they too could appreciate this home . You could always find our daughters friends, in or outside our home, on our rink, playing in the tree fort or sitting around the fire pit. During a conversation Braden and Jayne had, he noted that a young family was interested in the house. When they came for a visit with their boys, he said the two young boys were in the back yard, one was up in the tree fort and the other was sitting around the fire pit pretending there was a fire. Jayne and I were overwhelmed with joy, you see it was truly the perfect place for a family. Braden and his Team handled the sale of our home with enthusiasm grace and commitment; he was truly a pleasure to work with. " "The Mclean Team took me by surprise. Although I heard great things about them through friends, I didn't realize how perfect it was to actually work with them until I experienced it myself. I had a very specific need in mind because of my home business and they found me the perfect house. It was even 3,000 below my budget! I called and texted Braden and Tracie during various hours of the day with questions/concerns, and they always took the time to call back. On top of that, Braden was able to get me a front porch and bay window without upping the price. I look forward to my new dream home and I wouldn't have gotten it without you both. Thanks Braden and Tracie!" "As a first time home buyer, I was unsure of what type of home I wanted to purchase, and had many questions. The McLean Team helped answer all my questions and guided me in the right direction to find a home that was suitable. The buying process was easy and stress free and I am now moving into a perfect starter home in just a few months. I would highly recommend The McLean Team to anyone looking to buy or sell! " "Braden, Thank you for selling our house so quickly over the holiday season and for helping us buy our new home. You gave us really solid advice and took the stress out of buying and selling a house. I will definitely recommend you to any of my friends and co-workers who are looking to move. Job well done!" "Braden, Thank you for all of your hard work in selling our home, you met and exceeded all of our expectations and we know you went beyond the "call of duty". By keeping in touch with us on a regular basis, you provided us with comfort, impeccable service and professionalism throughout the entire sale process. Because of your hard work, it was sold after a week and broke a "pricing record" for our street!!! Thanks Braden!!"